Terrington St Clement is a large parish situated in the Marshland area of the Fens, in the very west of Norfolk. It is 7km west of King’s Lynn, and has a rapidly expanding population. 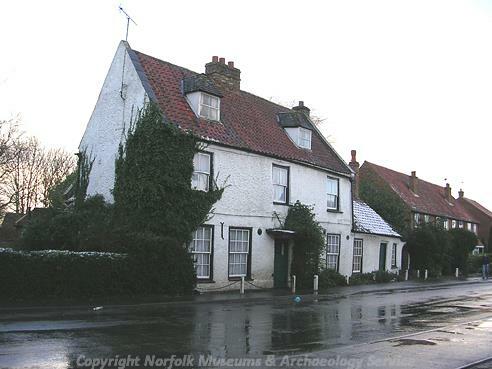 The 2001 census counted over 3900 people in the village itself, which may make it the most populous in Norfolk. The parish includes a large amount of tidal land in the Wash, as well as Terrington Marsh which is criss-crossed with drains and predominantly agricultural in use. Large parts of the parish are former salt marshes, drained during the last two hundred years. As a result, there are very few monuments or objects recorded from the prehistoric period, when it is thought that little occupation took place in this area. Despite extensive fieldwalking by the Fenland Survey only a few prehistoric flints have been recovered (NHER 22386 and 22576). There have been limited discoveries of Roman period objects, with only two coins recorded (NHER 15688 and 17202). Roman pottery sherds have been recovered from four areas of the parish (NHER 17132, 22159, 22577 and 34136), and may indicate the possibility of Roman activity in the area, although there is no evidence for settlement in the village area at this time. Despite this there is firm evidence for occupation during the Middle Saxon period, centred around Hay Green. This includes concentrations of hundreds of Middle Saxon and Late Saxon pottery sherds at sites where excavations have also revealed refuse ditches and pits (NHER 22276), as well as quantities of charcoal, fired clay and bones showing butchery marks (NHER 22275), and evidence for stock penning and crop storage (NHER 22576). There is also evidence (NHER 22275) that the construction of a number of earthen sea banks (NHER 27748) improved the stability of landscape use. In contrast, although Late Saxon evidence has been found in the Hay Green area, settlement focus appears to shift towards the present settlement of Terrington St Clement. This includes four concentrations (NHER 22390, 22110, 22113 and 22114) north of the church which may indicate that the focus or centre of the Late Saxon settlement now lies beneath the modern brick of the village. Objects of particular note include a possible Saxon loomweight (NHER 21935) and a possible Early Saxon gold bracelet fragment (NHER 31472). 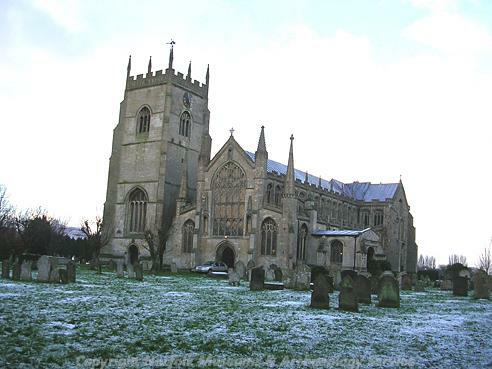 Terrington is mentioned in the Domesday Book, where a number of salt working sites are listed. The parish was ideally situated for the production of salt, which was an important industry in the Late Saxon and medieval period. As a result, some twenty-one saltern mounds or groups of mounds have been recorded, most of them situated just northeast of the village of Terrington. A large majority of these are visible as cropmarks (NHER 16591, 22998 and 27196), although some have been recorded in conjunction with Late Saxon and medieval pottery sherds (NHER 22496) as well as shell and bone fragments (NHER 2185 and 22497). Medieval pottery sherds, often deposited during manuring, have been recovered from fields across the parish, concentrated around the settlements of Hay Green and Terrington St Clement. A total of 138 scatters of material have been recorded, though a large number consist purely of pottery sherds (NHER 20259, 21981 and 23537). However, a number of concentrations of material have been noted, and these include shell and clay working debris (NHER 22135 and 34137), bone fragments (NHER 22497), and have been associated with trackways (NHER 22159), pits and ditches (NHER 22276) and butchery sites (NHER 22275). In the village area, these are centred around the church of St Clement (NHER 2194), which was extensively rebuilt on a cruciform plan during the late 15th and early 16th centuries. The church itself is sometimes referred to as the ‘cathedral of the marshes’, a reference to its large size and elaborate appearance, and shows some transitional work between the Decorated and Perpendicular styles. Inside, it is thought that some Norman carving survives, as well as a 13th century sedilia and piscina. Lovell’s Hall (NHER 2213) is also a medieval site, and is situated on the site of a medieval mansion. The current building dates from 1543, and is the hall of the Lovell family, thought it suffered severe alterations during World War Two, when it was occupied by the military. There are also a number of other post medieval buildings of architectural interest. These include High House (NHER 2217), a red brick house built in 1753, as well as Terrington Court (NHER 2220), a house of Jacobean appearance that may hide an early 16th century core. Further houses include Nos 17 and 19 Marshland Street (NHER 29178), originally an L-shaped house of the mid to late 17th century, and Nos 35 and 37 (NHER 46993), which were built in 1730 and used to be a post office. Also of note are a number of farmhouses such as Emorsgate (NHER 12107), which dates to around 1700 and is thought to contain the remains of wall painting inside. Tower House was also originally a farmhouse, and was built in 1657 with a front of 1839 and a three storey 17th century square tower at the rear. A single public house, formerly known as the Old Beams, survives as a private residence (NHER 42814), and the former village school (NHER 47150) also survives as a church hall. A number of metal objects from the medieval and post medieval periods have also been recovered, and one of particular note is an early post medieval gold ring and seal (NHER 15229). The seal was identified as that of Matthew Pratt of Tittleshall, who was buried on 1 December 1619, and his wife Catherine Reymes. Also of note is a hoard of 189 English and foreign silver coins (NHER 2184) which were recovered from this area. A number of World War Two defences were situated in the parish, largely due to its position on the coast overlooking the port of King’s Lynn. Surviving remains include a number of pillboxes (NHER 22802, NHER 22803, NHER 32374), as well as a coastal defence battery and rare battery observation post (NHER 25792), which incorporates a tall three-storey brick observation tower which may be unique in Norfolk. Other World War Two features include the site of a decoy airfield for Sutton Bridge Airfield (NHER 13609), as well as the sites of a number of military buildings (NHER 27747), a pillbox or strongpoint (NHER 27008), and a bombing range (NHER 27003).